When Victor and Vivian Forrester meet their unexpected fate on their way home from hosting a charity dinner, it leaves their three estranged adult children with an unexpected fate of their own. Madison has the perfectly planned life of which her two young children are the center, leaving no room for anything or anyone else, including her husband. 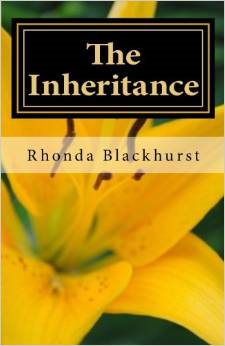 Her career as a psychiatrist enables her to validate her self-worth and give her children everything they need. She has made a promise to herself that her children will never be without, vowing to give them the best childhood anyone could ever have. Maxwell is a successful partner of a law firm, who is as skilled at playing the ladies as he is in the courtroom. He has long since written off his family in order to avoid having to answer to anyone. Molly is a writer and free spirit who has lost herself in the miry pit of self-pity, claiming her title as black sheep of the family. She tries to drown and numb the pain from years of being misunderstood by her family. What none of them expect after the shock of their parents’ death is the shock of learning what is in the will their parents carefully constructed, listing what is required of each of them before they can claim their substantial inheritance. Those requirements take them on a journey of self-discovery and change that leads to a much greater wealth than any of them had ever expected.